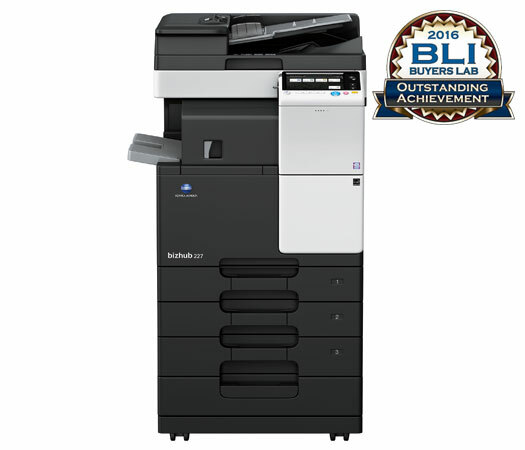 The bizhub 227 has been awarded the Buyers Lab 2016 Pick Award for Outstanding Achievement. This award is given to products and solutions that stand out for their adaptability, mobility and customer-friendly features. BLI Pick Awards are given to companies that, based on BLI’s comprehensive lab tests, excel in meeting buyers’ needs.